Developed by a Clinical Audiologist the patent pending earHero™ non-occluding in the canal listening device use a special micro speaker specially designed and used for the human auditory system. Includes headphones and personal case. Developed by a Clinical Audiologist the patented earHero™ non-occluding in the canal listening device use a special micro speaker specially designed and used for the human auditory system (found in hearing aids costing thousands of dollars). This speaker is small enough to fit inside the typical ear canal without blocking other sounds but powerful enough to maintain high quality sound. 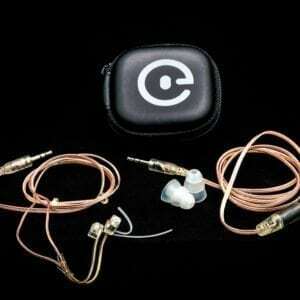 No more ear fatigue with the earHero earpiece. Many users report wearing the earHero earpiece for over 12 hour shifts and even forget they have them on. Wearing the earHero in both ears allows you to turn down your radio compared to levels used with the traditional coiled tube earpiece. This can reduce the potential for hearing loss due to long term radio use. The non-occluding design allows you to monitor your radio while at the same time maintaining situational awareness so you can identify where potentially dangerous environmental sounds are coming from. 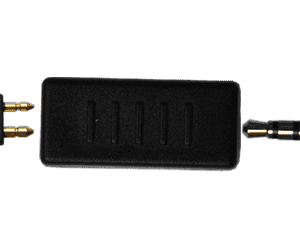 With the earHero adapter there is no need to purchase a new MIC/PTT set up. 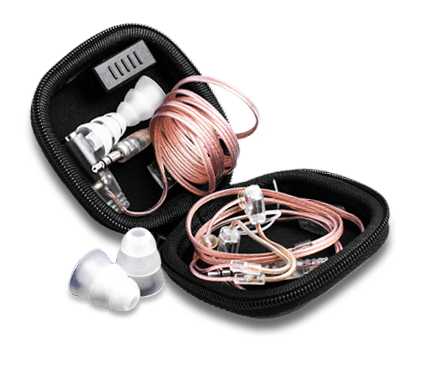 The earHero earpiece can replace the coiled tube device by removing the button speaker located at the base of the coiled tube and attaching the earHero two-pin adapter included. Kit includes earHero earphones, extension cable, earHero radio adapter, 2 earbuds, and earHero zippered storage case. Amazing product! I have very small ears and can never find headphones that fit appropriately but these fit great. I love that I can stay aware of my surroundings during a walk, run, or work detail. I am also extremely impressed with EarHero’s outstanding customer service!